We offer 'Learner's Choice' range of worksheets and assessment sheets help in accelerating the process of foundation learning from pre-school to primary levels. 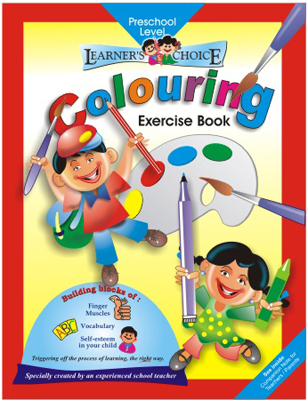 A comprehensive range of such worksheets for class room and home use will enable children to develop enthusiasm and show them the way for activity-based and modern play-way method of learning. Activity-based learning and teaching material for nursery and primary classes. And much, much more. Seeing the world through the eyes of the child, full of fun and frolic, that''s what ''Learner''s Choice'' is all about. Through a series of appropriate learning and teaching material; from activity-oriented storybooks, classroom workbooks, term books and evaluation sheets for each level, from pre-school to primary classes. Including learning of skills like script or cursive handwriting for effective communication, ''Learner''s Choice'' is a one-stop-shop offering a holistic experience where teaching becomes as much fun as learning.